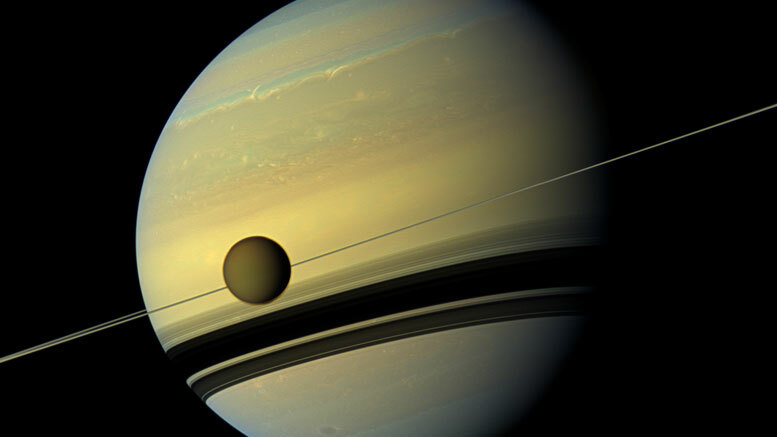 New research from NASA reveals the chemical acrylonitrile in the atmosphere of Saturn’s moon Titan, a place that has long intrigued scientists investigating the chemical precursors of life. Now, NASA researchers have identified the chemical fingerprint of acrylonitrile in Titan data collected by the Atacama Large Millimeter/submillimeter Array (ALMA) in Chile. The team found large quantities of the chemical on Titan, most likely in the stratosphere — the hazy part of the atmosphere that gives this moon its brownish-orange color. ALMA, an international astronomy facility, is a partnership of the European Organisation for Astronomical Research in the Southern Hemisphere, the U.S. National Science Foundation and the National Institutes of Natural Sciences of Japan in cooperation with the Republic of Chile. 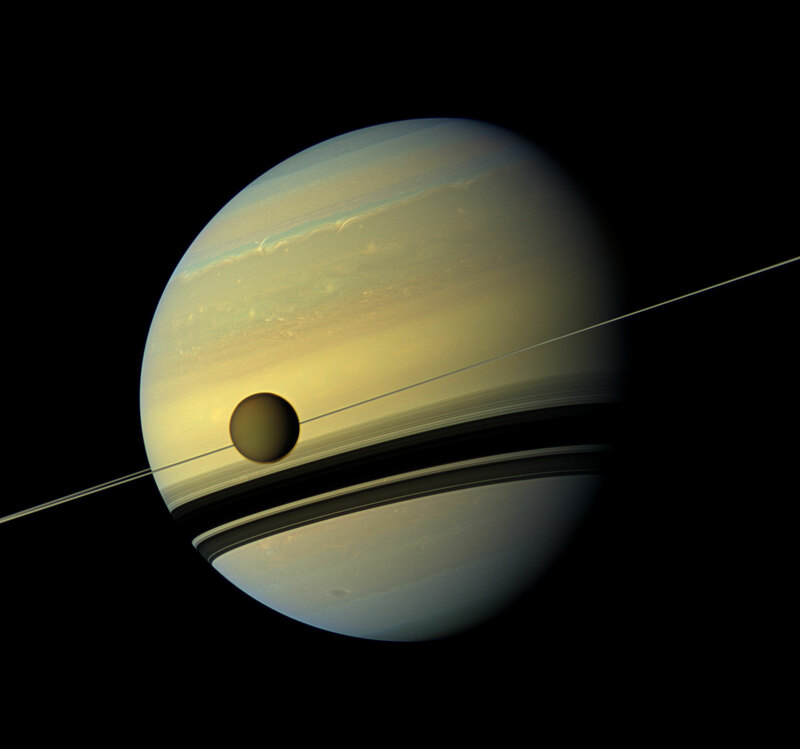 Be the first to comment on "Scientists Detect Acrylonitrile in the Atmosphere of Saturn’s Moon Titan"